I’d like to say it was a joyous celebration of life, OK I will say it was a joyous celebration of life, no one else will. The film is also very very clever, cunning if you will, so cunning you can brush your teeth with it. 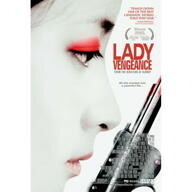 The film is called “Lady Vengeance” and was made in Korea. I live near a pretty good video store and I think it is run by the Vietnamese. So they have perhaps more Asian films than average. I’ve seen quite a few Chinese and Japanese films but no Korean films basically. The same goes for Korean novels. Tonight was a long day, but a good day. So I decided to cap it off with a film and just chill on my couch after all the hard work. Not seeing anything in the top 100, I went to the foreign language film section and found two Korean movies, both by the same director. They are a part of a revenge trilogy. The same director has a new movie in theaters in Vancouver right now. Cinephiles should check it out. “Chocolate” will probably be the first Thai film I add to my collection and this will likely be the first Korean film. It is now many years later and I am back from living in Asia again. I had to give up watching moves for a long time, TV too in order to focus on passing all three CFA® exams. I can’t really recommend doing this as I still have not found a new job. I do recommend this movie probably my favourite Korean film of all time. If you have any Asian movie recommendations you can leave them below. This entry was originaly posted on August 21st, 2009 , it was last edited on April 1st, 2019 and is filed under: The Arts and tagged: Cinema, Korea, 健美. I now own both “Lady Vengeance” and “Chocolate”. Alas I keep watching “Rome” and I really should be studying more. I’m trying, but it is still hard to focus. I’d rather be doing other things. I still wish things could be better.